Olo looking for an experienced Site Reliability Engineer (SRE) to support our team of software and infrastructure engineers. This position is more than actively monitoring a dashboard - you'll work with smart, passionate engineers dedicated to innovation and experimentation while also delivering amazing products. 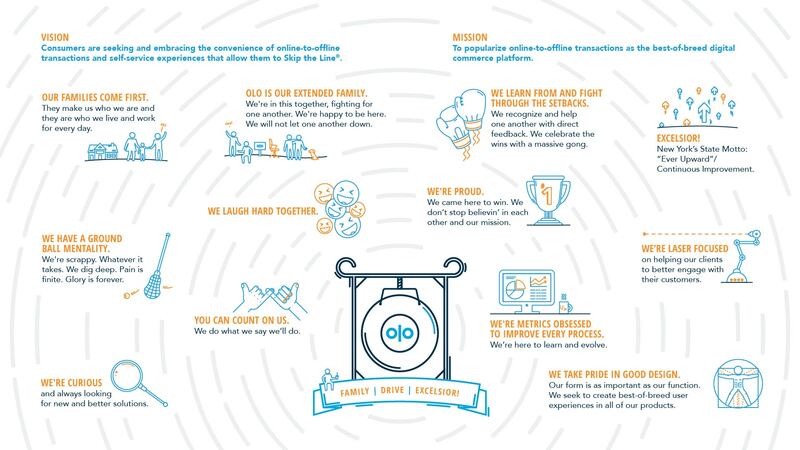 You can work at Olo's headquarters in New York City's Financial District or remotely from anywhere in the U.S. In fact, more than two-thirds of our engineering team is remote. Olo is the on-demand interface for the restaurant industry, powering digital ordering and delivery for over 250 restaurant brands. Olo's enterprise-grade software powers every stage of the digital restaurant transaction, from fully-branded user interfaces to the back-of-house order management features that keep the kitchen running smoothly. Orders from Olo are injected seamlessly into existing restaurant systems to help brands capture demand from on-demand channels such as branded website and apps, third-party marketplaces, social media channels, and personal assistant devices like the Amazon Echo. Olo is a pioneer in the industry, beginning with text message ordering on mobile feature phones in 2005. Today, millions of consumers use Olo to order ahead (SKIP THE LINE®) or get meals delivered from the restaurants they love. Customers include Applebee's, Chili's, Chipotle, Denny's, Five Guys Burgers & Fries, Jamba Juice, Noodles & Company, Red Robin, Shake Shack, sweetgreen, Wingstop, and more.